The paths to achieve illumination and spiritual oneness are numerous. 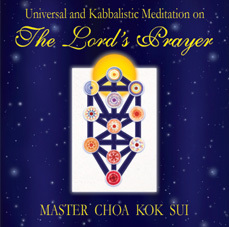 The Yoga of Knowledge and Understanding is among the most effective, according to Grand Master Choa Kok Sui, “Is very powerful if you have the right material to study and understand.”This booklet has 70 sutras and is designed as a practical tool for consistent daily spiritual expansion of your mind. 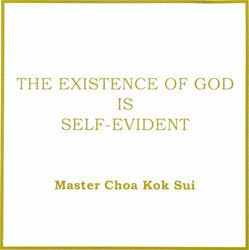 Designed with dimensions small enough to fit into your pocket, every page and sutra is intended help you understand God’s Omnipotence and Omnipresence in your very existence!By the repeated reading of this book, you can achieve illumination and divine oneness within a very short period of time. This union through knowledge and understanding imparts spiritual practical strength and depth to everyone. Meditation on Twin Hearts for Peace and Illumination– This powerful meditation, aimed at achieving divine consciousness or illumination, cleanses and energizes your aura. A strong aura provides a big reservoir of energy – a must for any healer or health practitioner. When practiced regularly some of the benefits are increased mental clarity, enhancement of your psychic abilities and increased intelligence and comprehension skills – all distinct advantages for any profession. Meditation on Twin Hearts for Psychological Health and Well-Being is a very powerful meditation that cleanses and energizes your aura. It has been used to relive stress and various psychological conditions. A strong and clean aura provides a big reservoir of energy- a must for any healer or health practitioner. When practiced regularly some of the benefits are increased mental clarity, relief of stress, enhancement of your psychic abilities and increased intelligence and comprehension skills – all distinct advantages for any profession. In addition, this album contains a powerful technique for relieving stress and psychological. 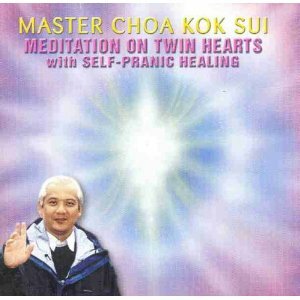 Meditation on Twin Hearts with Self-Pranic Healing is an exceptional meditation technique for spiritual development and healing. As one becomes a channel of divine energy and blesses the earth with peace, love, healing and goodwill, one in turn receives divine blessings. It cleanses and energizes your aura. A strong aura provides a big reservoir of energy- a must for any healer or health practitioner. 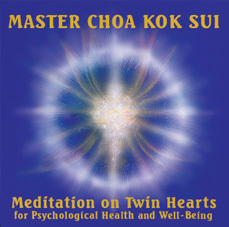 In addition, following the Meditation on Twin Hearts, a powerful technique for healing illness and injury and for maintaining radiant health is used for healing. The health benefits of the Meditation on Twin Hearts and Self-Pranic Healing is well recognized. Successful and dramatic healings have come about from the practice of this meditation. OM is a universal sound similar to Aum or Amen. It’s purpose is to blend one’s individual consciousness with Divine consciousness. Powerful energies emitted by this recording can be used to disintegrate diseased and negative energies in the meditator as well as the environment. It cleanses, energizes, removes stress, elevates Consciousness, and creates a energetically Clean, Peaceful & Spiritual Environment. This highly-energized sacred mantra is intended to facilitate deeper states of relaxation, to create a sense of calmness and spiritual well-being. It soothes, uplifts and inspires one during meditation. May be used for stress reduction. 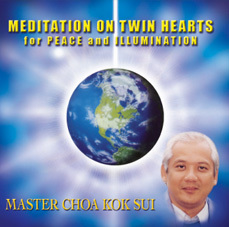 Recorded Live at the 2004 Wesak Festival Meditation in Germany, GrandMaster Choa Kok Sui leads you in chanting this powerful mantra of Mercy and Compassion. 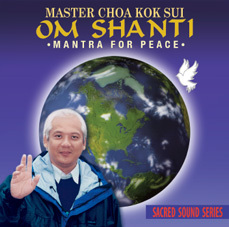 Master Choa says that “the repetition of this mantra results in the bringing down of blessings and divine energy from the Buddha of Mercy and Compassion to the person reciting it… It has purifying and healing effects.” Experience increased Calmness, Inner Peace, and Soothing Healing Energy with this powerful Mantra. Arhatic Dhyan is an advanced Arhatic Yoga meditation that develops the practice of prolonged awareness. Prolonged awareness is necessary in order to register and respond to inner and higher stimuli. To be successful in one’s spiritual practice, there must be proper balance between prolonged one-pointedness (concentration) and prolonged awareness. Strictly for ARHATIC YOGA practitioners only. Arhatic Yoga Kundalini Meditation, also known as Meditation on the Inner Breath, is a fundamental and major Arhatic Yoga meditation. The meditation focuses on circulating energy techniques that clean, energize, and balance the chakras and the aura resulting in the purification of the energy bodies, safe awakening of the sacred fire or kundalini and development of inner awareness and expansion of consciousness. 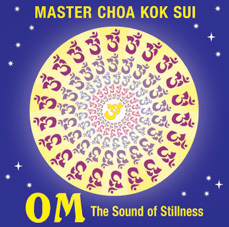 This 4-1/2 cycle version is interlaced with the chanting of Om-The Divine Sound by Master Choa Kok Sui. The Blue Triangle is your psychic garbage can. It is used to extract and disintegrate unwanted habits, vices and energies from within you. The longer an unwanted quality has been accumulating in your system, the more time it will take to remove it. These unwanted, undesirable energies may take the form of inner pain, repetitive or obsessive thoughts, compulsive or unwholesome habits or general weaknesses in your personality or in your nature. The process of extracting a particular unwanted quality should be repeated anywhere from 30-90 days. If the unwanted energy corresponds to a habit or thoughtform that you have repeated inn 10 to 20 lifetimes, then maybe it is possible that the process of extraction will take much longer than 90 days because of the excessive accumulation of garbage. Is there a Feng Shui book and the spiritual management book? How can I purchase this book? hi. sorry we don’t have a book for FEng Shui and Spiritual Business Mgmt course. Hi there! 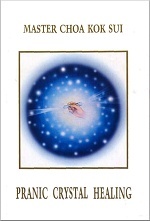 I am interested in getting the new books since I have the earlier edition of ‘Miracles Through Pranic Healing’. How can I purchase the books? Also I would like to inquire regarding how much the workshops/classes cost. Thank you so much! you can also come to our office. I will send the cost per workshop in your email. Hi can I buy these books online?IS there a delivery charge? you can also come to our office. Do you have books on Pranic healing in tagalog versions.